V.C. Summer nuclear plant in Fairfield County. Dominion Energy is offering buyouts less than three months after purchasing the parent company of South Carolina Electric & Gas. Local media reported the Richmond, Va.-based utility's offer is open to nearly all Dominion employees 55 and older who have at least three years with the company. 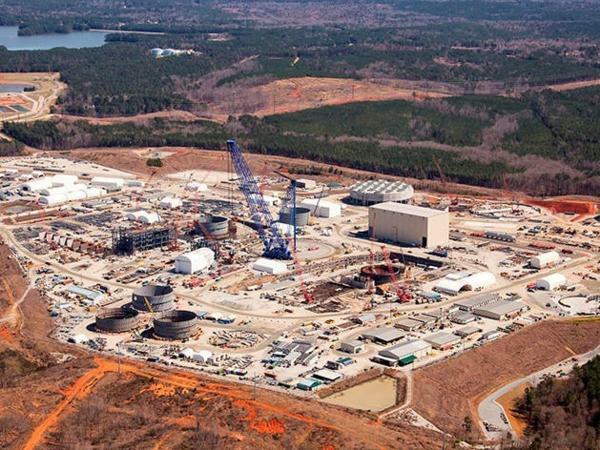 The offer includes nearly 1,300 of the 5,000 employees who worked for SCANA before it was purchased by Dominion. The Cayce-based SCANA was the parent company of South Carolina Electric & Gas before the purchase. The Post-Courier reported that Dominion CEO Tom Ferrell wrote in a letter to employees that a merger creates "opportunities for new efficiency and cost savings" and early retirement packages are often offered after a merger. "This can be a meaningful opportunity for those who decide to retire earlier than planned," Ferrell wrote. "For many people, it can be a way to secure financial options and an income stream that can bridge to a new professional opportunity or simply allow for more time with the people you love." The deadline on whether to take the buyout or not is April 16. It is the first buyout the company has had since 2010, Ferrell told employees and the last in the "foreseeable future." The State reports that Dominion was required by the Public Service Commission to pay employees' salaries through at least July 1 of next year even if they lose their job. Dominion bought SCANA after it encountered financial problems with the failure of its V.C. Summer Nuclear Station expansion. SCANA and partner, Santee Cooper, abandoned work on two nuclear reactors north of Columbia in July 2017. SCE&G customers paid more than $2 billion for the plants that never produced power. Dominion Energy of Virginia said Wednesday it has completed its acquisition of South Carolina utility SCANA. The closing comes after Dominion won final approval two weeks ago from South Carolina regulators. As SCANA and South Carolina Electric & Gas are selling off more than a dozen properties to pay for refunds to electric ratepayers, the South Carolina Public Service Commission is expected to issue its final order Friday involving the sale of the troubled utility to Virginia-based Dominion Energy.